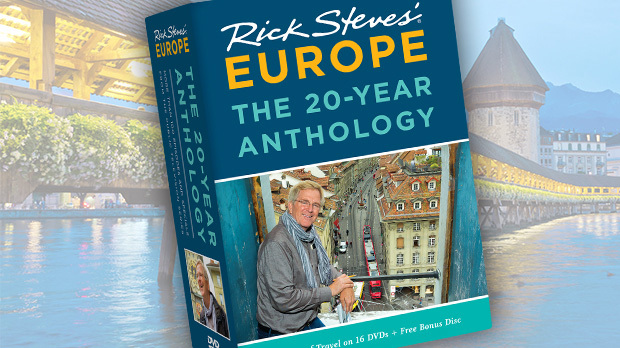 Europe is rich in history, but the splendid castles, antique churches, and age-old ruins tell only part of the story. To dig even deeper in time — much deeper — visit a cave. Some of my favorites, in France and Slovenia, showcase 17-foot-long bulls drawn by our ancient forebears and 100-foot-high stalagmites sculpted by nature. The world's most famous cave paintings are at Lascaux, in southwest France. From 18,000 to 10,000 BC, long before Stonehenge, before the pyramids, before metalworking, and before farming — back when mammoths and saber-toothed cats still roamed the earth — prehistoric people painted deep inside these limestone caverns. These are not crude doodles with a charcoal-tipped stick. They're sophisticated, costly, and time-consuming engineering projects. Discovered in 1940, the caves were closed to visitors in 1963 to prevent further deterioration of the artwork. But a "copy cave," the impressive Lascaux II, allows visitors to see the reindeer, horses, and bulls of Lascaux, painstakingly reproduced by top artists using the same dyes, tools, and techniques their predecessors did 15,000 years ago. When I first heard a guide call the Lascaux caves the "Sistine Chapel of the prehistoric world" I thought, "Promotional hyperbole." But then I climbed into Lascaux II and almost immediately forgot that it's a copy. I was swept away by its grandeur. The paintings are astonishing, and the experience is mystifying. 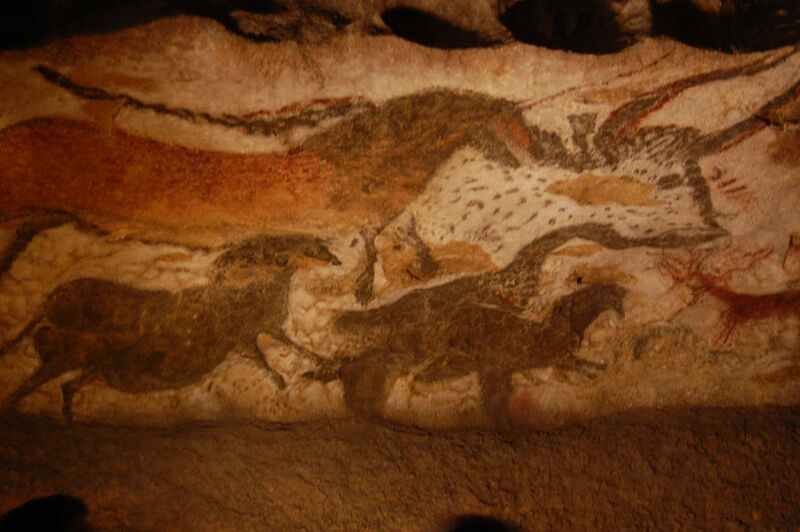 Nearby, the Grotte de Font-de-Gaume is the best place to see actual original prehistoric art. Even if you're not a connoisseur of Cro-Magnon culture, you'll dig this cave — the last one in France with prehistoric multicolored (polychrome) paintings still open to the public. Font-de-Gaume contains 15,000-year-old paintings of 230 animals, including many red-and-black bison painted with a moving sensitivity — often in elegant motion. When two animals face each other, one is black, and the other is red. Your guide, with a laser pointer and great reverence, will trace the faded outline of the bison and explain how, 15 millennia ago, cave dwellers used local minerals and the rock's natural contours to give the paintings dimension. But getting in is tricky — the few spots available for advance reservations get snapped up by area guides, and the remaining 52 tickets are doled out on a first-come, first-served basis (in summer, plan to be in line by 7:30). In Slovenia, the ancient history found below ground relates to geology, not human culture. About an hour south of Ljubljana, the country's Karst region is honeycombed with a vast network of caves and underground rivers. Spelunkers agree that this region has some of the most remarkable caves on the planet, including my favorite, the Škocjan caves. 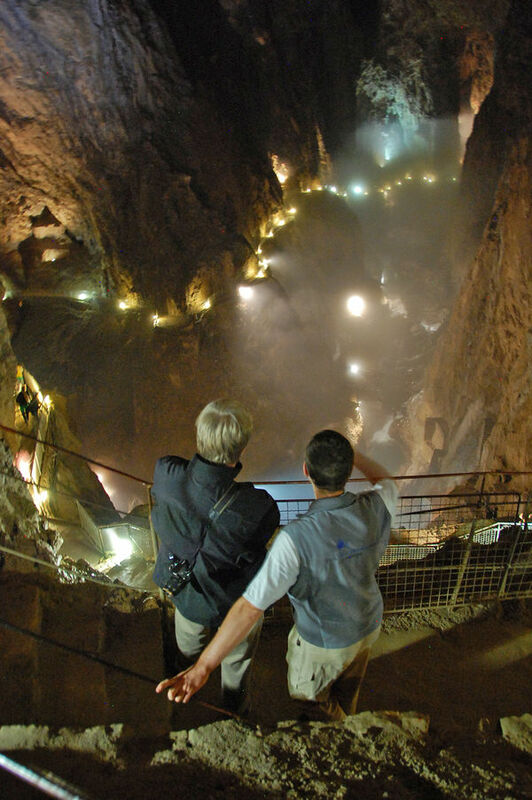 At Škocjan, visitors begin by seeing a multitude of formations in a series of large caverns. Guides tell the story as, drip by drip, stalactites grow from spaghetti-thin strands to mighty sequoia-like stone pillars. The experience builds and builds as you go into ever-more impressive grottoes, and you think you've seen the best. But then you get to the truly colossal final cavern — the "Murmuring Water Cave" — with a mighty river crashing through the mist. It's a world where a thousand evil Wizard of Oz monkeys could comfortably fly in formation. Crossing a breathtaking footbridge 150 feet above the torrent gives you faith in Slovenian engineering. Finally, the cave widens, sunlight pours in, and you emerge — like lost creatures seeking daylight — into a lush canyon. The nearby Postojna caves are Slovenia's single most popular tourist attraction. Postojna lacks Škocjan's spectacular, massive-cavern finale, but the formations at Postojna are slightly more abundant, varied, and colorful, with stalagmites and stalactites as tall as 100 feet. 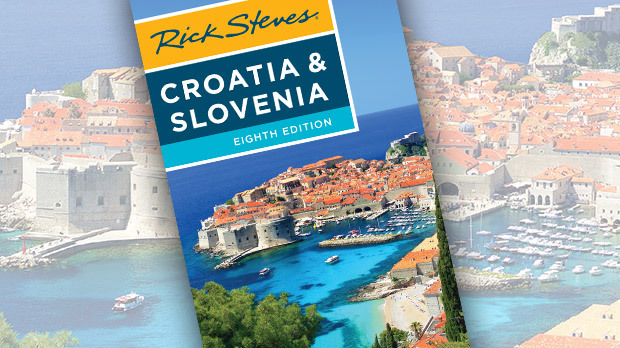 A visit here is an easy, lightly guided stroll through an amazing underground cavern (in contrast to the fairly strenuous hike required on a visit to Škocjan). A little open-air train slings you deep into the mountain, whizzing past wonderful formations. Then you walk along a well-lit, paved path up the "Big Mountain," where you're surrounded by a sea of fairy chimneys. A bridge over a canyon takes you into "Spaghetti Hall," named for the long, skinny stalactites that seem to be dripping from the ceiling. After passing some huge, white, melting-ice-cream formations, you wind up in the impressively vast cavern called the "Concert Hall." Here, an aquarium houses the strange, pale-pink, salamander-like "human fish," a cave-dwelling creature that is celebrated as a sort of national mascot in Slovenia. After exploring some of the world's best caves, mull over what you've seen — and return to more modern history — with a glass of local wine from the famous wine regions not far from these caves: Primorska in Slovenia and Bordeaux in France. Raise a glass to red-and-black bison, colossal caverns, and human fish that hide beneath Europe's modern surface.